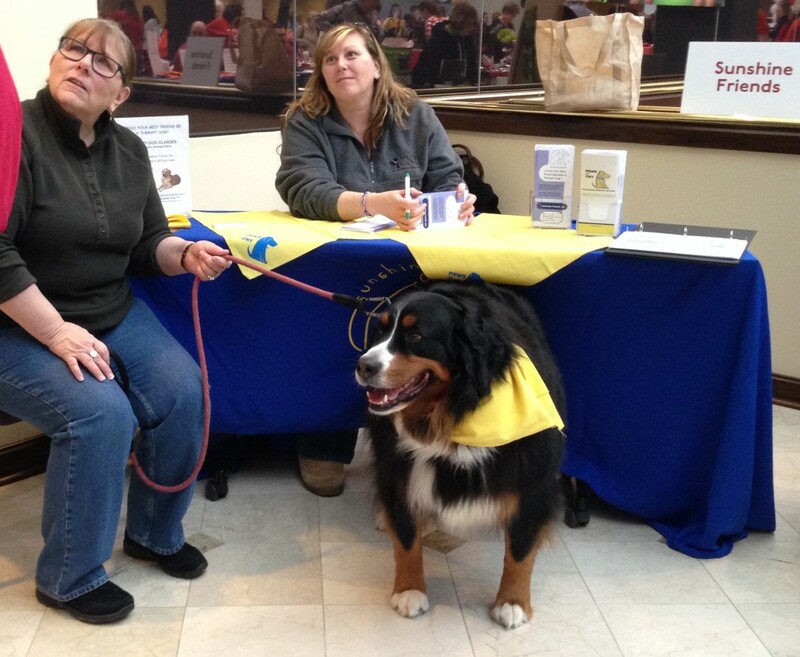 On Tuesday February 18th PAWS of CNY attended the Winter Carnival event at Syracuse University’s L.C. Smith College of Engineering. The event allowed the engineering students at L.C. Smith College to take a well-deserved break from intense study and enjoy a variety of fun and stress-busting activities. On Friday February 14th PAWS of CNY Volunteers attended a day of learning for Baldwinsville middle school students. Students were encouraged to sign-up for various hour-long sessions on a variety of wellness topics, which included the option to learn about Pet Assisted Wellness Services from PAWS of CNY. 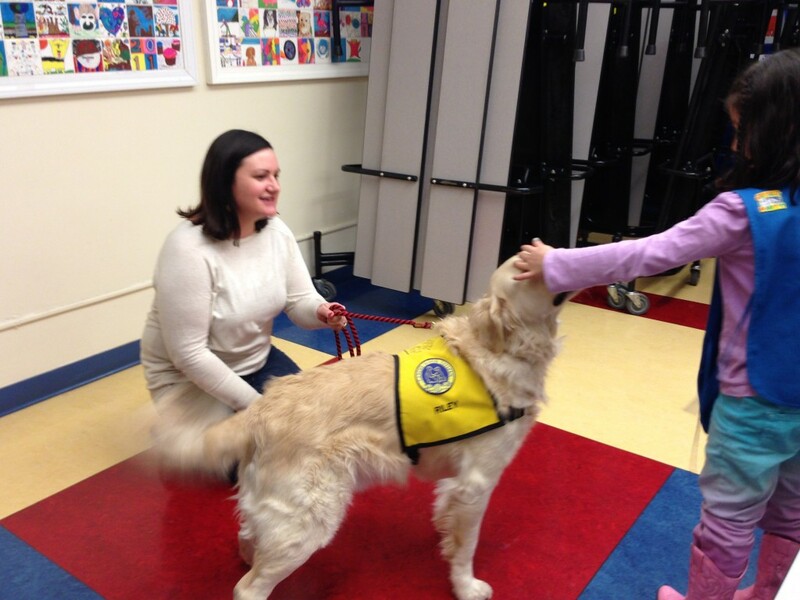 On Thursday February 13th PAWS of CNY volunteer Katie Rossi and her Golden Retriever Riley met with a local girl scout troop at Moses DeWitt elementary school to teach them about pet therapy work and how therapy dogs are trained and tested for service. On Saturday February 8th Upstate University Hospital hosted its annual Strong Women Strong Hearts event, at the HealthLink/OASIS Center in East Syracuse. The free event provides education, entertainment and indulgence for women in the community with a focus on heart health.